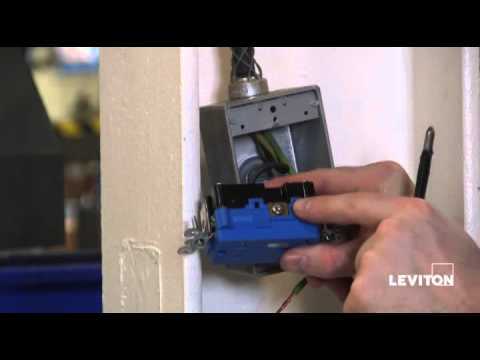 Leviton Decora Plus™ 2-Pole Tamper-resistant straight blade receptacle with indicator light, is rated at 20-Amps, 125-Volts. 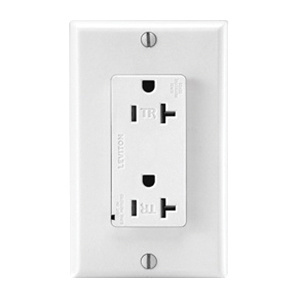 The 3-Wire duplex receptacle offers back and side wired terminal connection for reliable connectivity. Commercial/specification-grade receptacle in white color, features polycarbonate construction for longer endurance. It accommodates conductor of size 14 - 10-AWG. Receptacle has brass contact and steel strap. Strap mountable receptacle operates at temperature range of -40 to 60 deg C. Receptacle is UL listed, CSA/NOM certified, NEMA rated and meets ANSI standards.